All prices are in EUR! Working langauge of the forum - English! - Lunches and coffee breaks as per the agenda on 20-21-22 Mar, 2018. - Participant’s portfolio: all due prints, a booklet, a pen, a badge, a bag/folder, etc. - All optional late-afternoon & evening activities from the agenda on 20-21-22 Mar, 2017. - Links to: a summary of the event, photo & video records, presentations. - Special discount: 100 € from the full package WCF-Entry: ONLY for current WCFA members! - Special optional bonus: WCFA association membership for 1 calendar year (for non-members)! NB! The special bonus DOES NOT automatically include access to the WCFA association's Annual Assembly on 20 Mar: ONLY those who have completed an entry form for membership will be invited, so kindly email us, if you are interested! NB! > Optional activities: not included! NB! > Optional activity: not included! - The daytime plenary sessions for the respective day(s) from the agenda. - Lunches and coffee breaks for the respective day(s) as per the agenda. - Special discount: 100 € from the 2-day or 1-day WCF-Entry: ONLY for current WCFA members! - NB! The optional activities on 20-21-22 Mar are NOT included in the price of the 2-day or 1-day WCF-Entry! > Access to the optional activities is granted upon separate payment as per the above price-table! The above prices DO NOT include any accommodation or flight expenses! The above prices DO NOT include any transfers from/to Geneva Airport! The above prices are without VAT! Simply click on the link above and follow all instructions. 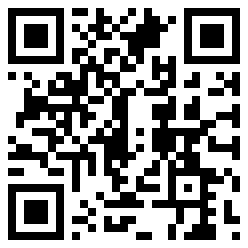 < ... or scan the QR code here and follow all instructions. NB! Pro-form invoices require a standard bank transfer payment only! Pro-form invoice (word.doc or PDF) can be sent upon email request from you - for that purpose, please, provide an attached scan of a registration form signed by you. Due payment shall be expected as per the pro-form invoice sent to you. Official Invoices (paper copy) can be rendered on the spot, signed and stamped by the representative of the World Communication Forum Association (or posted to a specified-by-you address after event completion and service delivery). Please, advise us beforehand on the preparation of such an invoice, in case of its necessity! 1. Any refund of fees will be made only for cancellations received in writing at least 20 days prior to the event. 2. A 25% cancellation charge is due to cover administration costs. No refund for books or printed/other materials/souvenirs. 3. No refunds will be made for cancellations received within 20 days prior to the event. 4. In the case of force-major circumstances, including illness or similar obstacles for any speakers, the Organizers reserve the right to alter or cancel the final program. 5. Provisional bookings made by phone must be confirmed in writing. 6. Please, note: VAT is not included in the above stated prices!